This sheet of sketches and studies is a rare survival from Sawar. 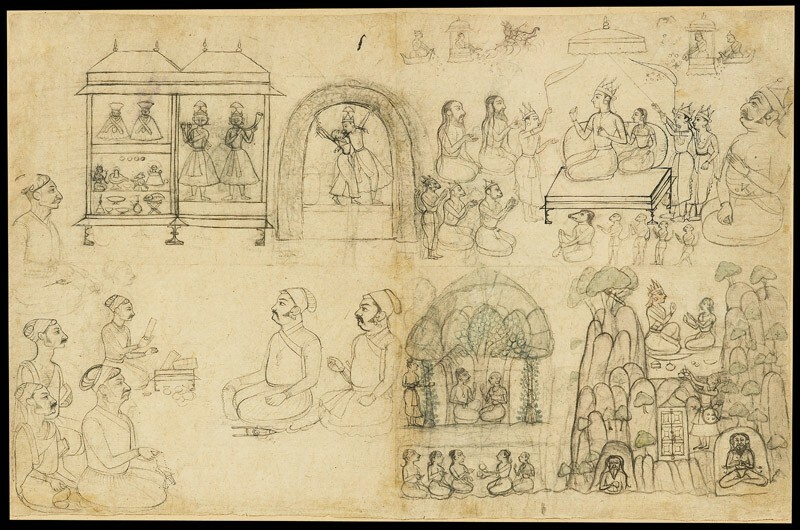 From upper left: a compartmented shrine contains images of Krishna and other deities; Krishna stands embracing Radha in a forest bower; Rama and Sita sit enthroned, attended by monkeys, yogis and others. 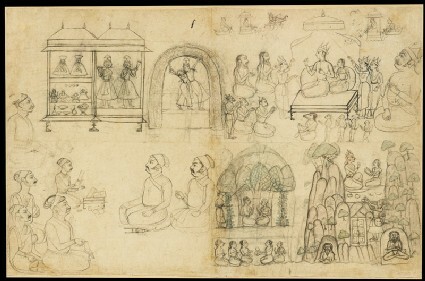 From lower right: Rama, Sita and Lakshmana are seen in exile in a mountainous forest; a lady visits a holy man in a grove; Raj Singh of Sawar sits informally with courtiers or priests.